Khashoggi, whether dead or alive, casts a revealing light on Mohammed Bin Salman and he'll have to answer for it eventually. It’s as though everything that Mohamed bin Salman, Saudi Arabia’s new young crown prince, touches grows into a Medusa-like monstrosity and curses him. 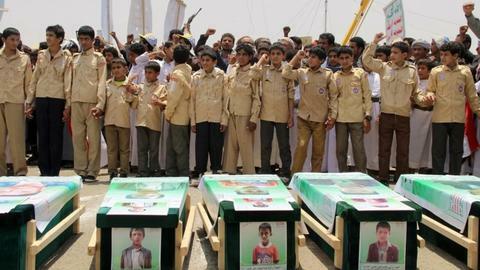 Whether it’s the decision to fight a war in Yemen, to ‘kidnap’ a Lebanese Prime Minister, demonise neighbouring Qatar – or more recently to sanction Canada for criticising the kingdom’s appalling human rights, few, if any of his own people believe that his vision of a reformed Saudi Arabia by 2030 is even feasible, regardless of whether the prince can raise a fortune from the public sale of the state oil firm. Yet after the disappearance of Jamal Khashoggi on October 2, even the crown prince’s most loyal supporters around the world can no longer keep the farce going. They’ve reached a watershed in pretending that Saudi Arabia is heading for reform or modernisation of any sort. Khashoggi entered Saudi Arabia’s consulate in Istanbul in the belief that officials there were about to hand him the divorce certificate he needed to wed his Turkish fiancé. 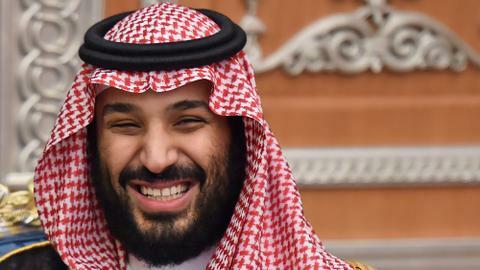 In fact, it seems this beguiling circumstance by Riyadh was used to kidnap him, after an alleged ‘falling out’ with MBS and fleeing Saudi Arabia in 2017 for fear of arrest. This latest stunt by MBS, could be a new low, and has even shocked Saudis. Saudis have seen the extent of the insecurity and vindictive nature of the monarch through the en masse detention of possible critics which MBS held captive in an upscale hotel in Riyadh, despite western journalists like Thomas Friedman of the New York Times managing to put some gloss on MBS’ actions. But the Khashoggi case is unprecedented. It is important to remember that Khashoggi was not the assiduous critic of MBS he is reported to be, but more of a cryptic commentator, who was previously part of the establishment. In fact, Khashoggi was a fan of MBS’s 2030 vision and represented a garret of sensible ideas in an environment where even constructive criticism is shut down. 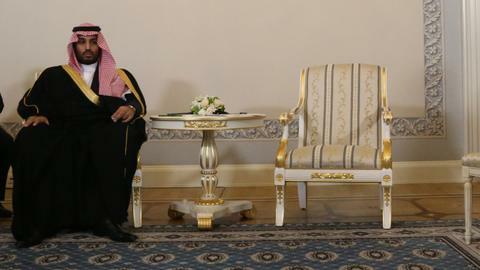 In the paranoid world of MBS he was seen as a threat as he championed the very subject which the Saudi leader fears and loathes above all else: debate. His last article promoted the idea of a free press in the country, a radical idea in a country which is essentially a journalism-free zone. Since leaving his country he became a columnist for the Washington Post, with his articles, published in Arabic, threatening to stir debate even within the House of Saud, which might consider MBS too volatile and oust him for one foolish decision after another which have all backfired – and played a part in a recent failed IPO, on top of record low foreign investment. Here, we have to assume that the humiliation of these articles was too much for MBS and many assume that a team of 15 Saudi officials who arrived at the embassy earlier had, in fact, murdered him inside the consulate. My Kingdom, for a murder? The truth is that there is hardly any solid evidence to support this. This is a story after all, top heavy with conundrums and mystery. Of course, there will be little opprobrium from Theresa May nor from Donald Trump, whose recent public haranguing of the Saudi King for more money could be part of Khashoggi’s demise: Khashoggi criticised the young prince’s support for the US president over his erroneous plans in Palestine and tried to warn the Saudis not to buy into Trump. ‘He may be a son-of-a-gun but he’s our son-of-a-gun’ will no doubt be Washington’s view and London will follow suit. Yet the West has created a monster in Saudi Arabia, with more to come as the 2030 vision that MBS cherishes will soon be seen as folly by youth who will only ratchet up more pressure. MBS’ young supporters would have welcomed a free press, although such ideas come with a high price. It was not just the West who gave MBS a ‘stay out of jail’ card but also western media which handed Khashoggi the revolver with one round in the chamber. Many years have passed since the West dished out its call-centre moral tutelage to countries that it sells arms to. We’ve lost any moral high ground we presumed we had. It’s as though we have exported so much democracy that, as a commodity, we are scarce of the precious stuff back home. Media too no longer has the edge it used to have, as journalism became a two-bit profession. But western media using an Arab commentator to procure reform in the darkest part of the world? There’s plenty of mileage in this and in my view, this is what got Khashoggi into trouble. The Washington Post making him a brown-skinned icon of the newsroom who can make us all feel better about how much we, in the West, fund the Saudis cavorting slaughter of Yemenis, makes me uneasy. But it’s worse than that. The Washington Post itself doesn’t seem to be concerned with Khashoggi’s fate and continues to publish all his articles, making him an icon in the Middle East – and in doing so snuffs out any possibility of a deal being struck to release him, in the distant possibility of him still being alive and being held by the Saudis. This, I find particularly fetid; the sensibilities of editors and their egos comfortably harnessed to big media’s greed for clicks. What on earth was on the minds of Post editors to publish his articles in Arabic? We all have Khashoggi’s blood on our hands but his death, if he has indeed passed away, may not be in vain though. So much of the foibles and comical blundering of the Saudi leader hasn’t filtered into the living rooms of humble people in West. This episode might trigger something. At least, if not with politicians, then conscious western investors who might be eying Saudi Arabia’s Aramco IPO, which, according to a Bloomberg interview (with MBS on the day after the abduction) has merely been moved to 2021. The Saudis simply haven’t joined up the dots to see the link between egregious human rights atrocities—which now probably include kidnapping if not murder—and a scarcity of foreign investors. If the West and its self-obsessed media can’t show the Saudi leader the error of his ways, then perhaps the banks and the markets will. Martin Jay is an award-winning British journalist based in Beirut who has worked for a number of international media titles including CNN, BBC, Al Jazeera as well as reporting on a freelance basis for the UK’s Daily Mail, The Sunday Times plus TRT World.